I got a craft update this morning and now seem to be having some difficulty in getting craft to sync my Sketch prototype to InVision successfully. When Craft says that sync is complete, InVision only shows blank pages in place of my content. They have the same names as my artboards but they're completely blank. 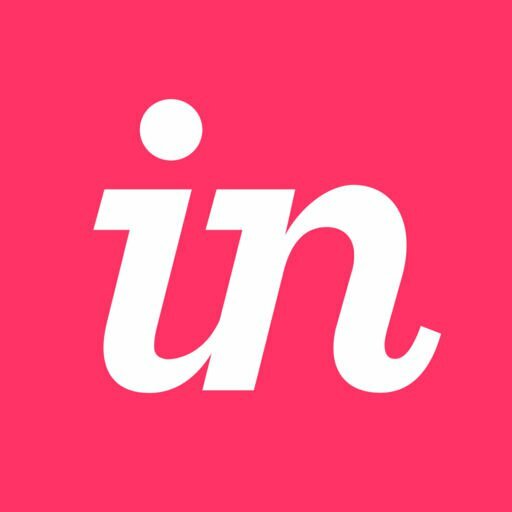 I've tried changing the export settings, restarting Sketch, logging out and back in to InVision, deleting the InVision pages, deleting the InVision project... Not sure what else to try. Our Engineering team has been working to address the issue causing Craft Sync to fail to generate screens after the update to Sketch 52. We’re happy to confirm we’ve just released a new version of Craft Manager (1.0.71) that includes a fix for the problem. Once updated to Craft Manager 1.0.71, you should find that you’re able to sync artboards to InVision from Sketch 52 without issue. We're deeply sorry for the disruption of this issue, and we sincerely appreciate your patience as we’ve been working to resolve it. We will continue efforts on our side to learn from this unfortunate occurrence and to continue to reinforce the stability of our platform and processes, as it is always our goal to maintain your confidence in us. Please let us know if you find any issue at all persists. Thank you again for your patience. Hi Andrew, thanks for joining the Community! I see you have a Support ticket open and are working with the Tier 1 team, so we'll be sure to get to the bottom of what's going on as soon as possible. Please keep an eye out for messages from us regarding your ticket. Hi Elizabeth, Yes that's right. I posted here before I found how to raise the ticket. Once I had raised the ticket I came back here to delete this post but it doesn't look like that's possible. I have now discovered a workaround for my particular issue (switch "Export Pixel Density" down to '1x' in the Craft Sync settings) that at least lets me get on with my work although it's not ideal. If you feel that this thread serves no purpose here, please feel free to remove it. Hi Andrew, thanks for letting us know you found a workaround! Since this information could be valuable to those who are experiencing the same issue, we'll leave this thread up. Appreciate you bringing this to our attention! So sorry to hear that you're running into this issue! Did you try Andrew's workaround mentioned above to export at "1x pixel density" using Craft Sync? Please let us know, and we would be happy to help you further if you're still experiencing this issue. Same as Michael Kalani here, even with the 1 pixel density setting. I also have the same problem as Michael and Gerard. 1. What version of Sketch are you using? 2. What version of Craft Sync + Prototype are you using? 3. Can you please provide a screenshot of your "About this Mac" or other operating system information? Please note that if you are running Sketch 52, there is actually a widespread issue that our team is aware of with syncing your artboards after updating to the newest version of Sketch. We'll be posting updates on this issue to our Status Page if you'd like to receive information as we work to resolve the issue. We'd also recommend following @invisionsupport on Twitter for updates related to problems. I don't want to leave you all without a way to work with your files and InVision. In the interim, we've seen that reverting to the previous version of Sketch (v51.3) will allow you to sync without issues. If you do not want to revert, another possibility is to save the artboards as a PNG/JPG files and manually drag-and-drop them into your project (albeit, Inspect will not currently be available for those screens that were dragged-and-dropped until they are synced later with Craft Sync). Again, we apologize for the inconvenience. I am having the exact same problem after updating my Sketch version to 52. Please help! Issue resolved with the plugin update! Ok Shaina, I'm running Sketch 52 and Craft 1.0.70. and I'm going to revert to v51.3. The plugin didn't update for me during the last hours as Prameela says. Glad to hear that updating the Craft plugin has solved things for you! Please feel free to reach out if you run into any other issues. Please let me know if there is anything further I can provide to help. Thank you very much for providing that information. I apologize for the issue you are encountering with the latest version of Craft Manager syncing blank screens. I will be opening a ticket on your behalf with our Support team so that they can do some further troubleshooting with you. Please look for a message from our Support team soon. Sorry to hear that you are also running into this issue. It appears as if our Engineering Team was alerted of this issue yesterday and were hard at work all day to fix the issue. The great news is that our engineering team has identified the root cause of the issue that you were having where screens could not be uploaded or updated correctly via Craft Sync, we released a fix for the issue and you should be able to sync artboards via Craft Sync again. Can you please try to resync and let me know if you are still seeing these issues? As a follow-up, I re-synced from Sketch and it seems as though the issue has been fixed! Thank you for you and the team's quick work in resolving the issue. That's so awesome to hear, Carl! Can confirm it's working for me as well. Glad to hear it, Darrin! Thanks for confirming.